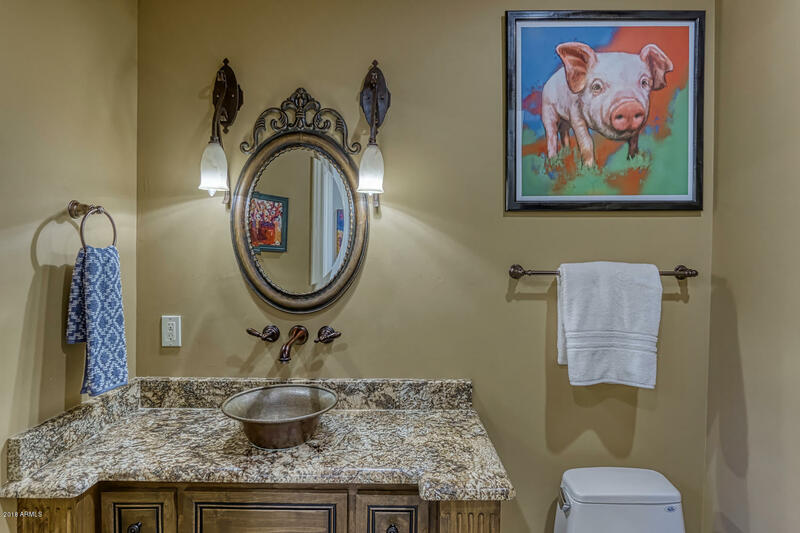 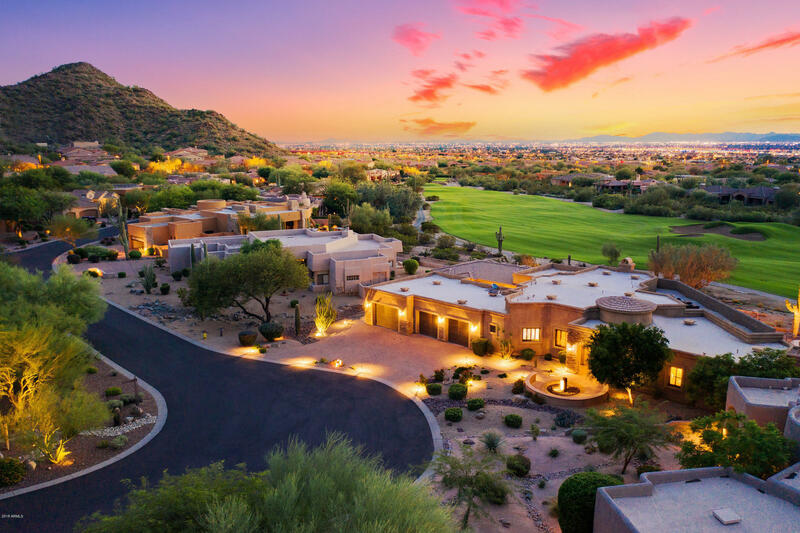 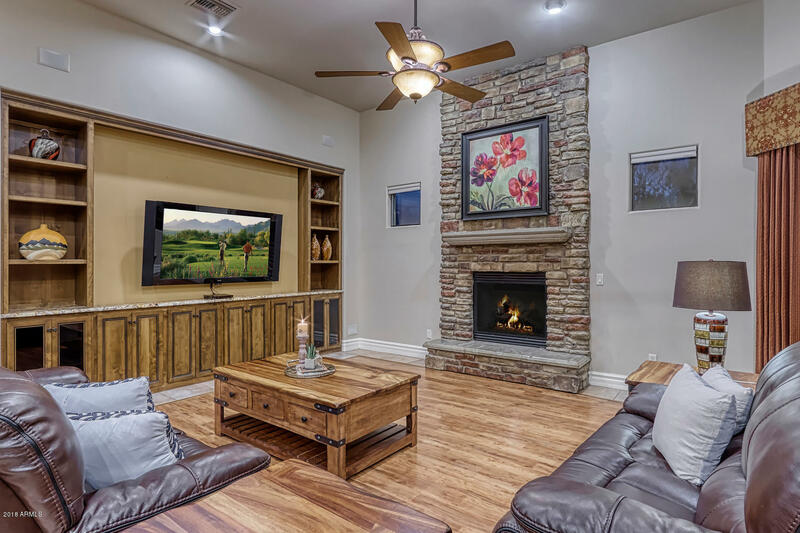 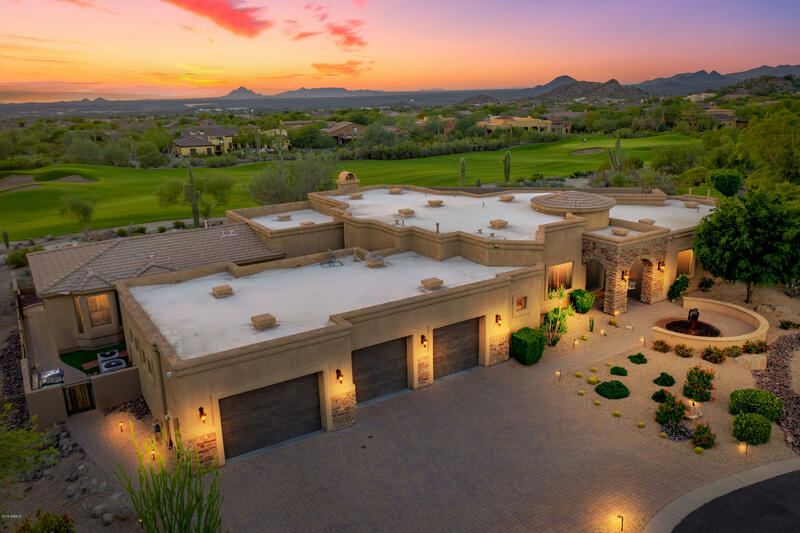 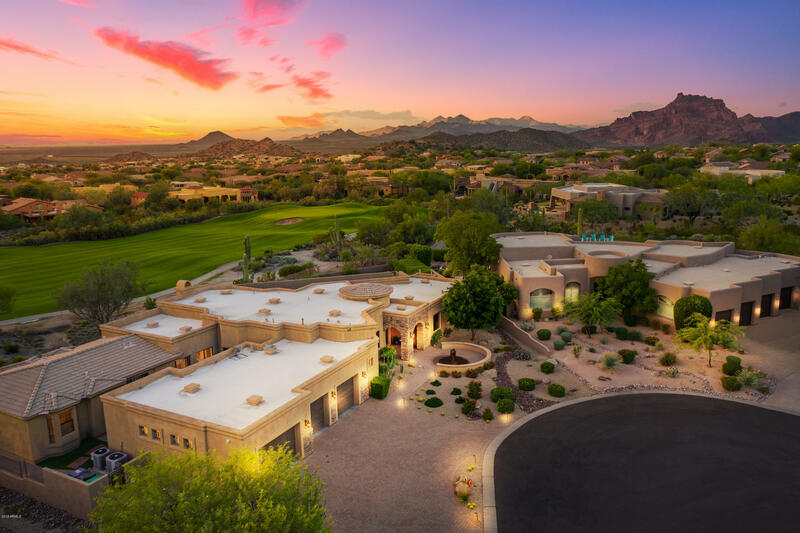 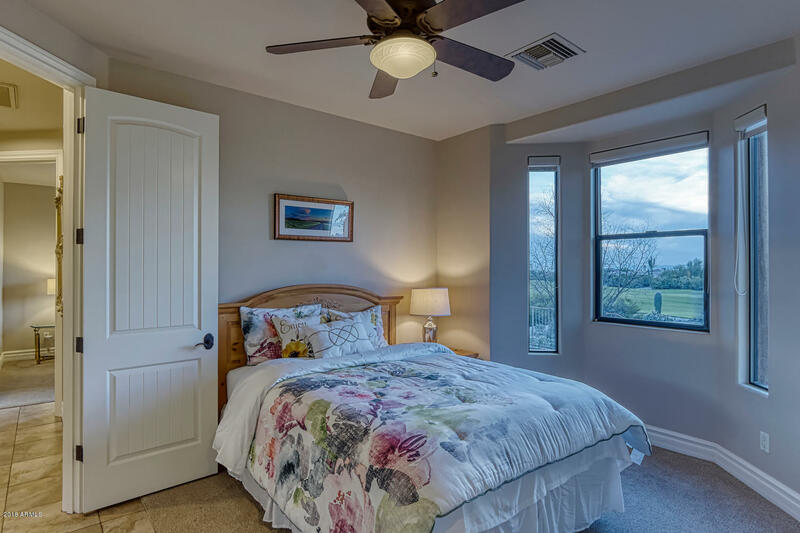 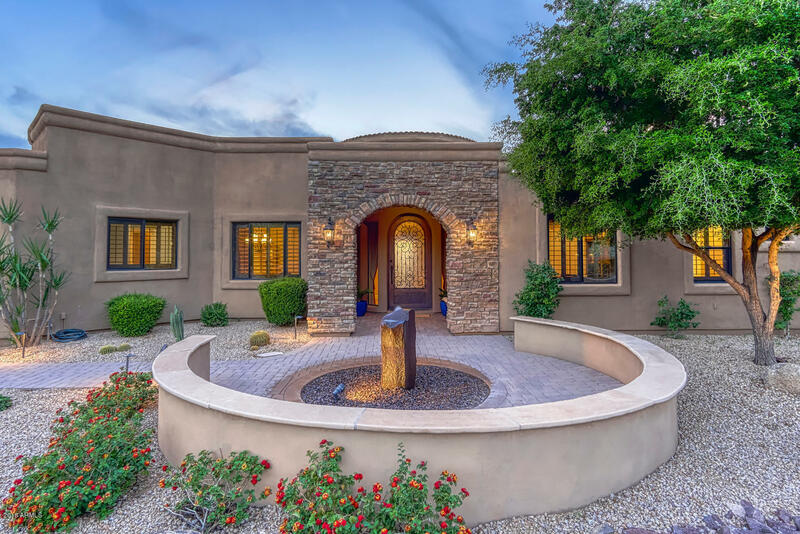 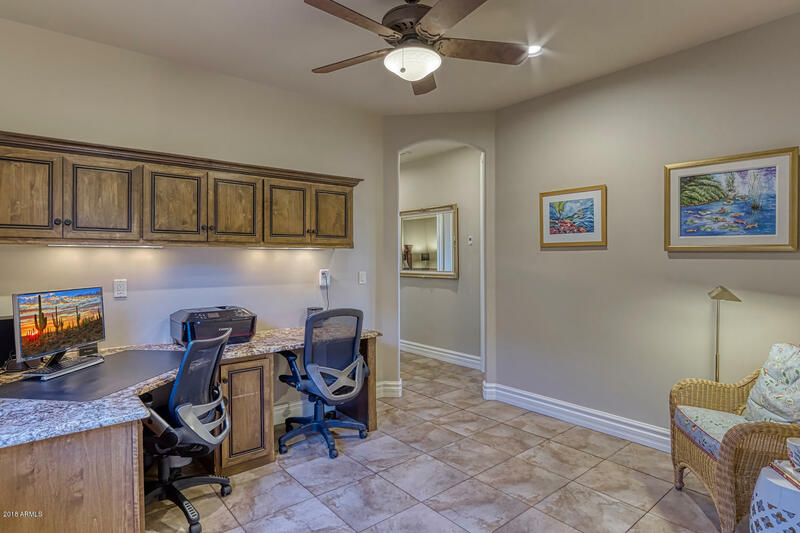 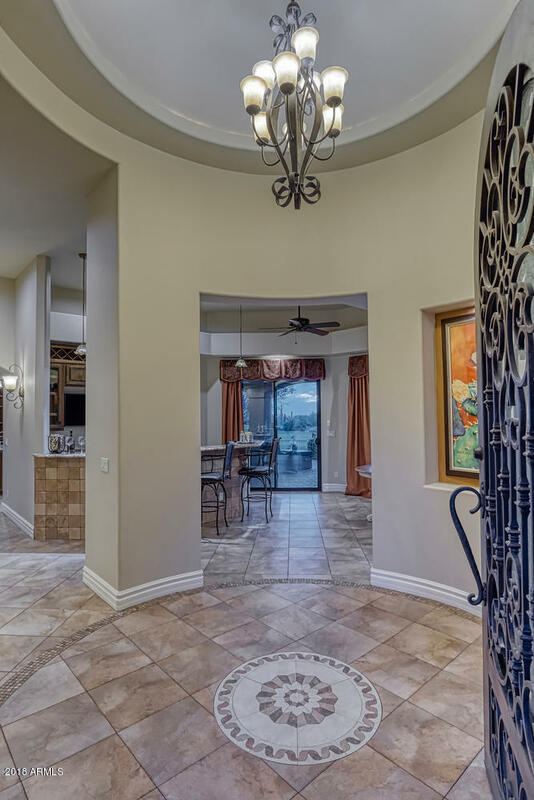 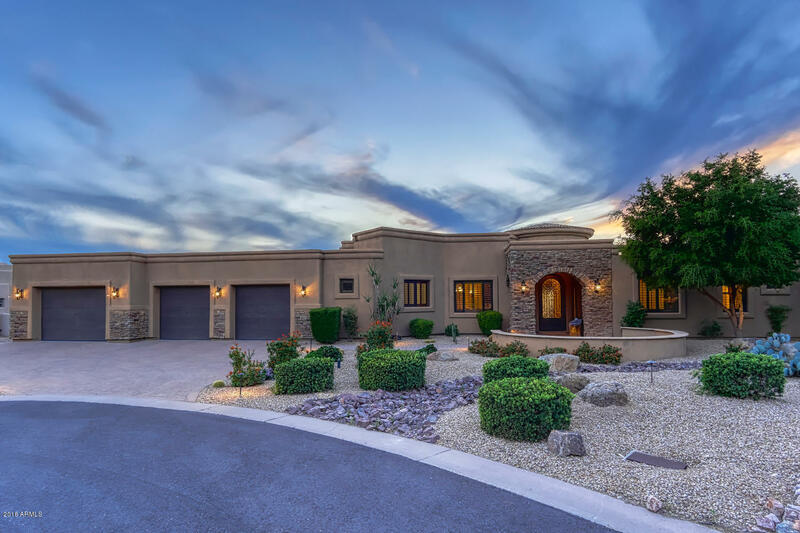 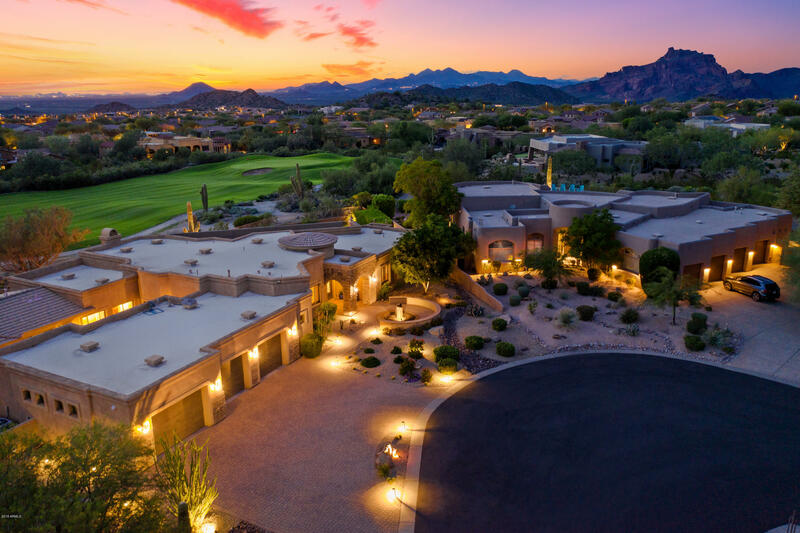 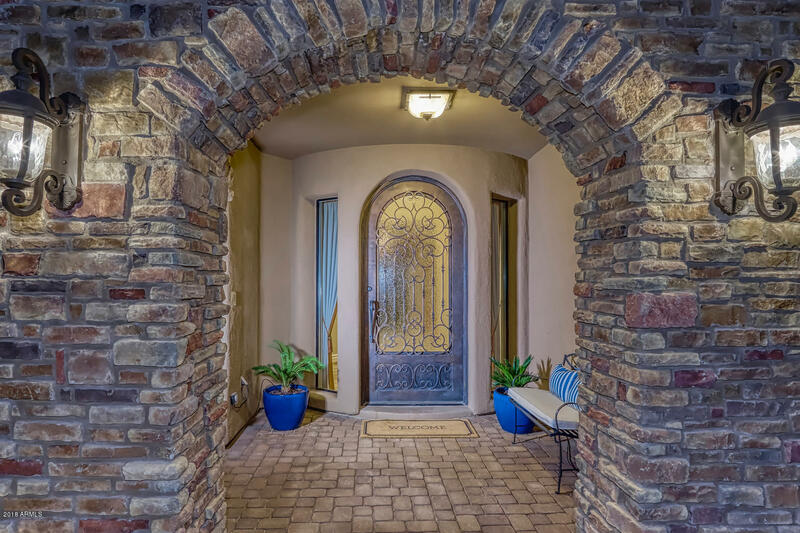 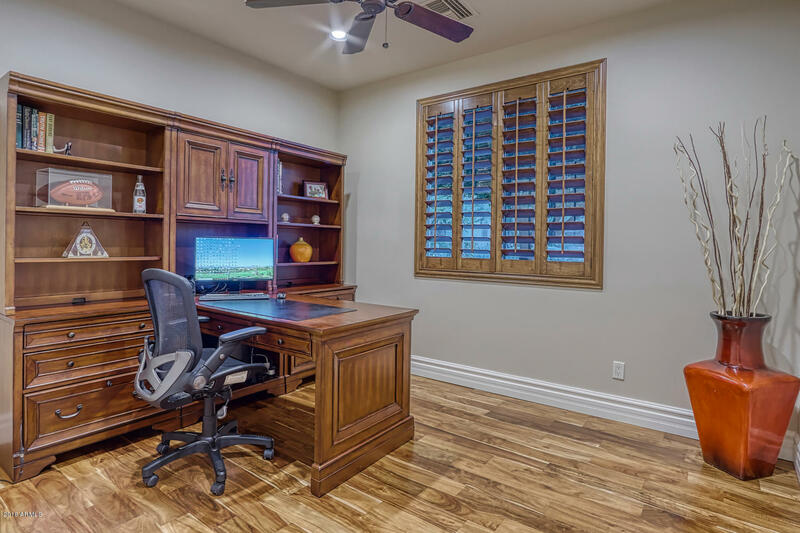 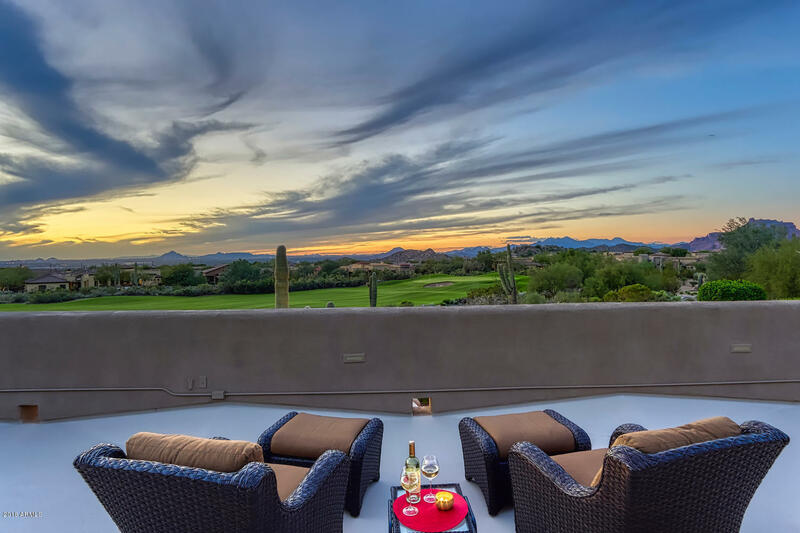 Beautifully tucked within the gated Las Sendas community, this property is uniquely positioned to capture the sought-after mountain, golf course, and twinkling city light views. 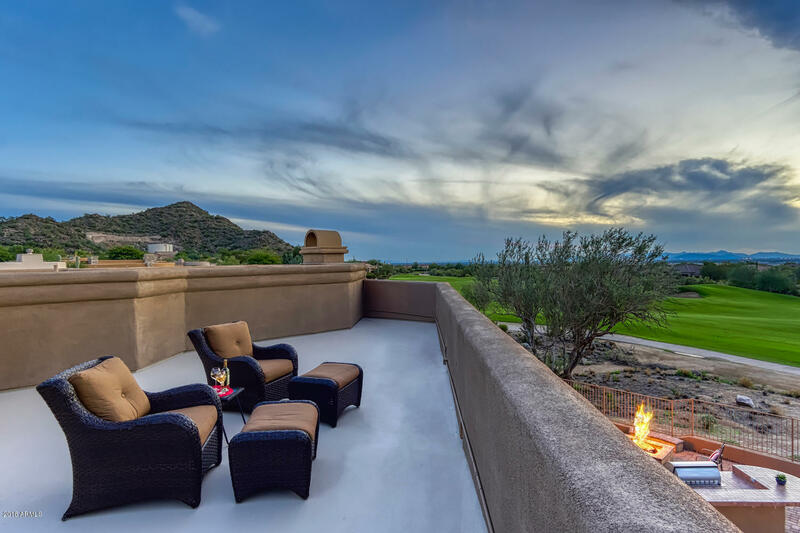 Offering space for entertaining, the functional floor plan provides intimate gathering areas and outdoor space that captures the stunning picturesque landscape. 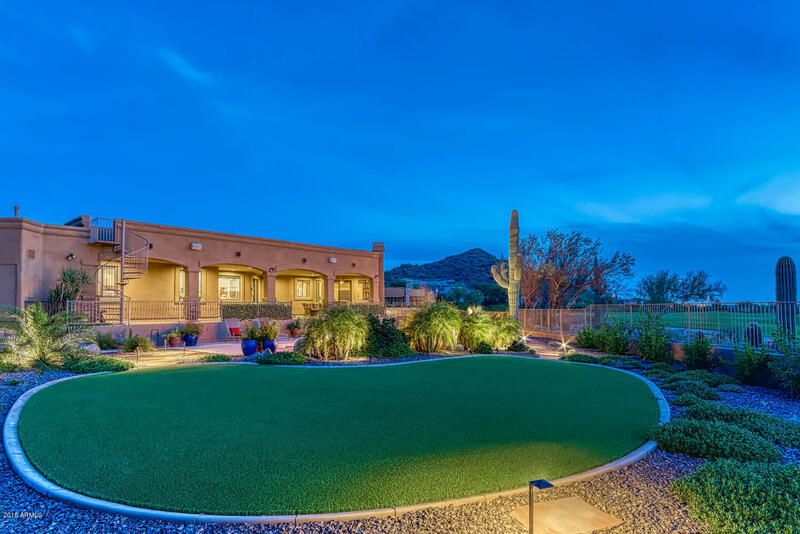 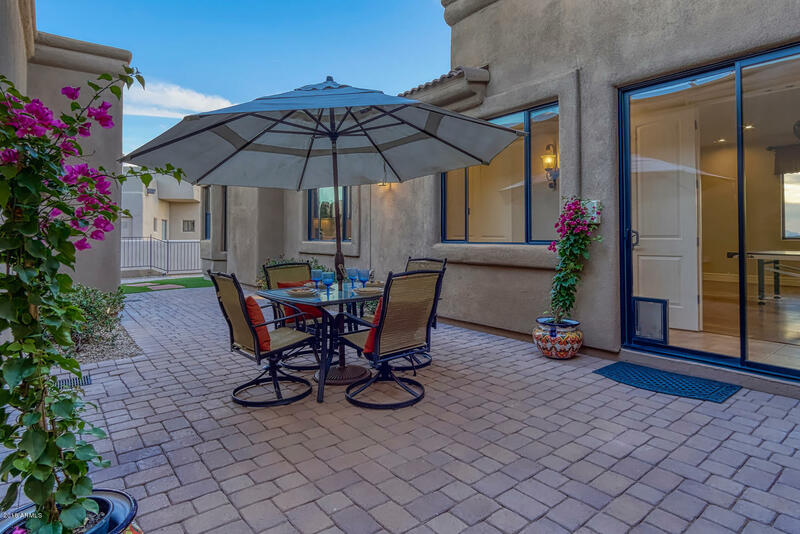 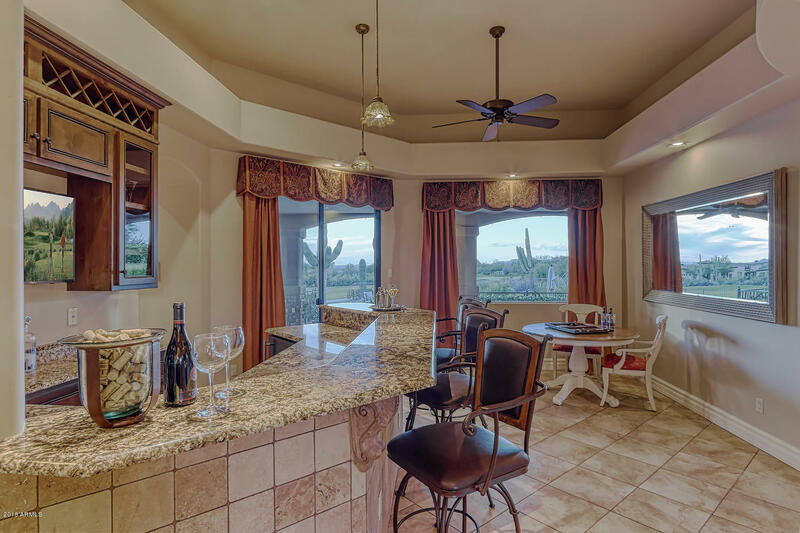 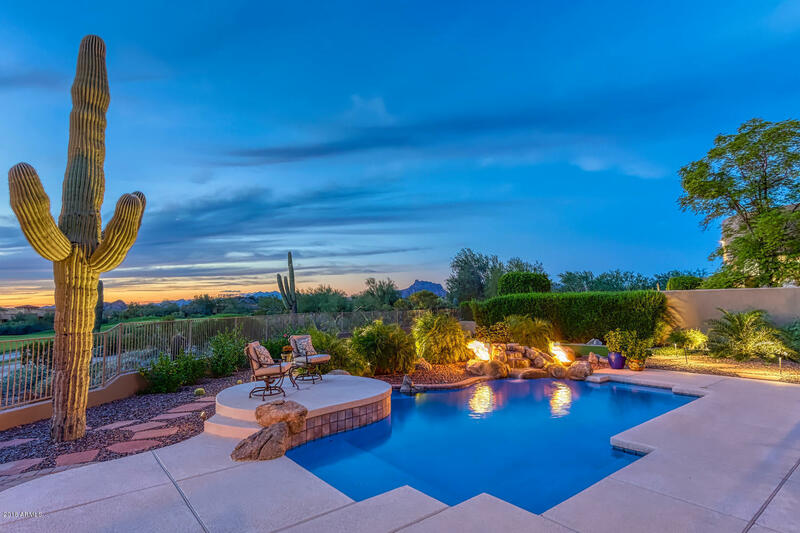 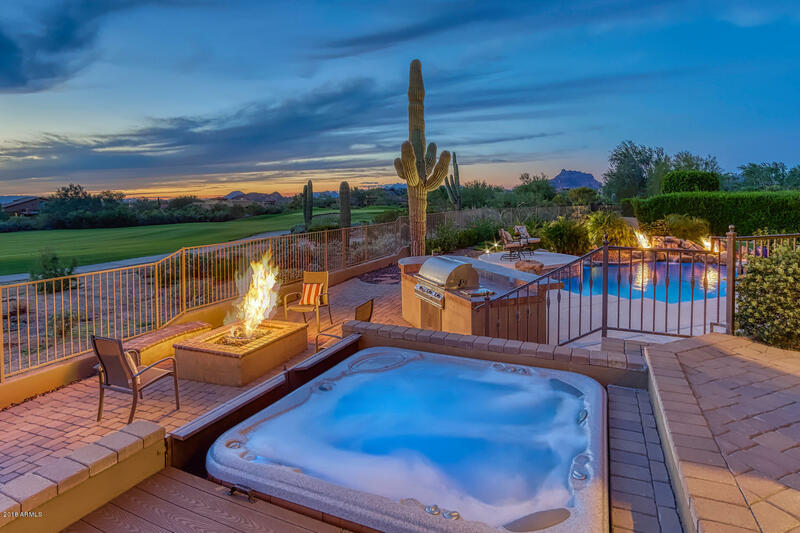 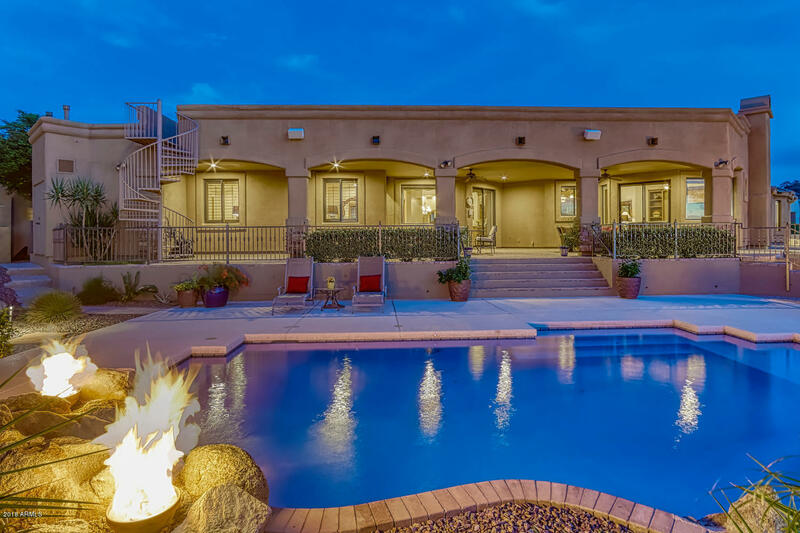 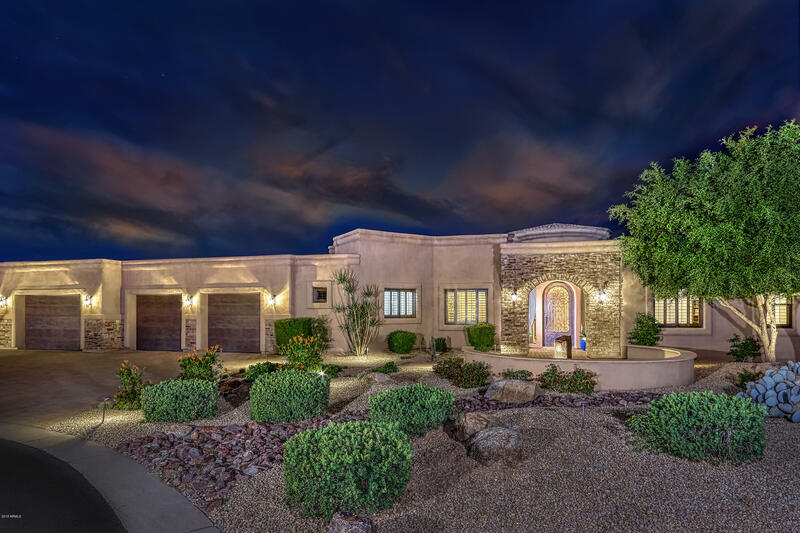 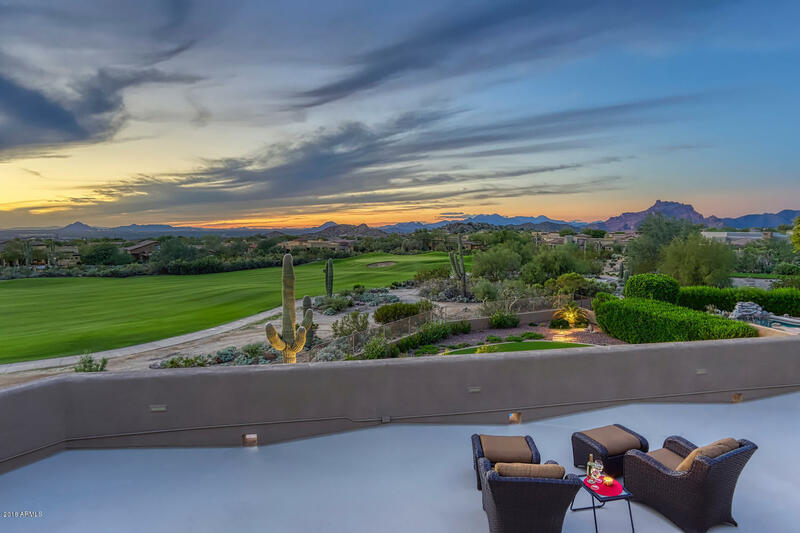 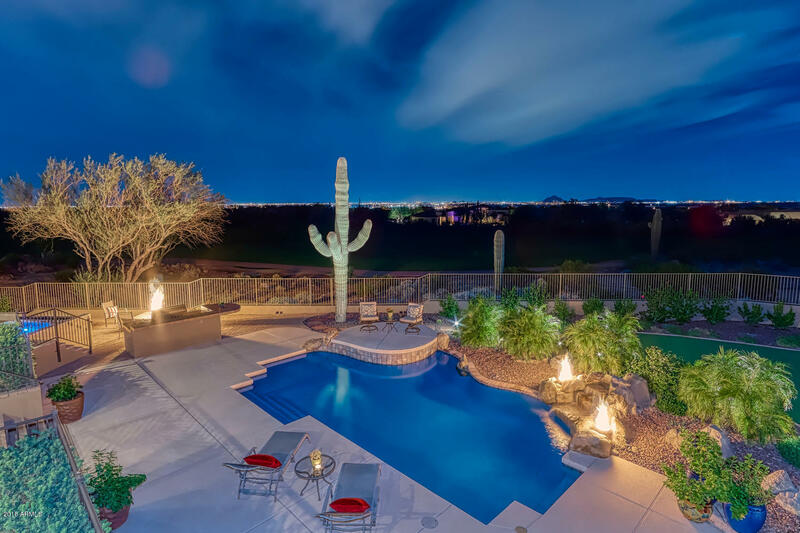 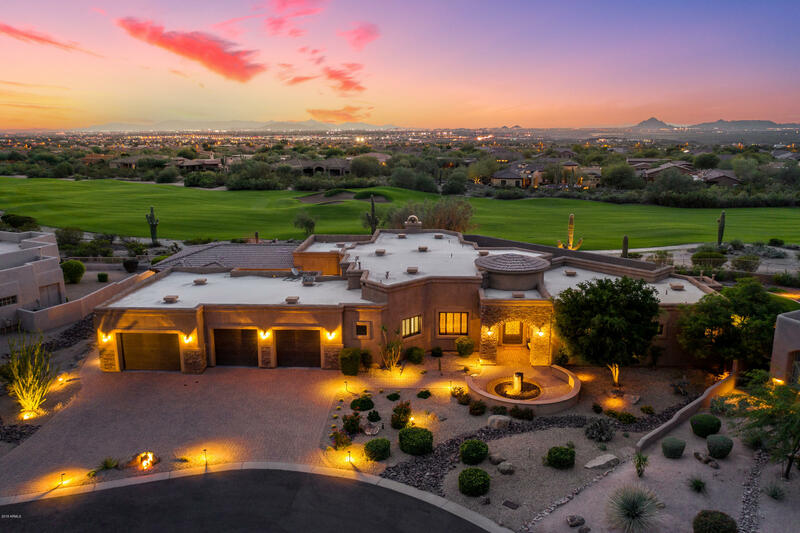 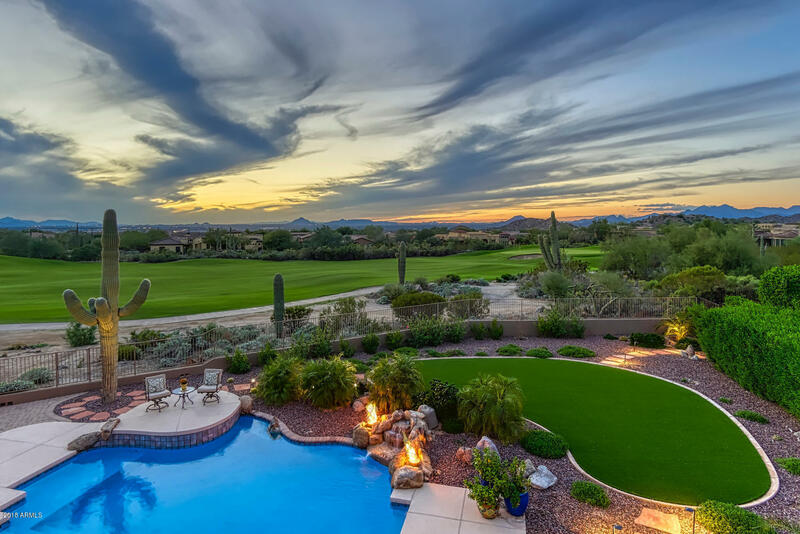 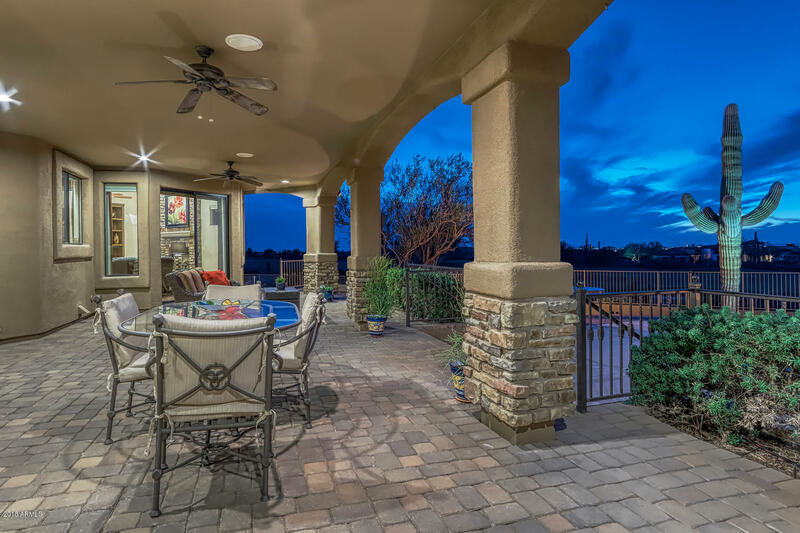 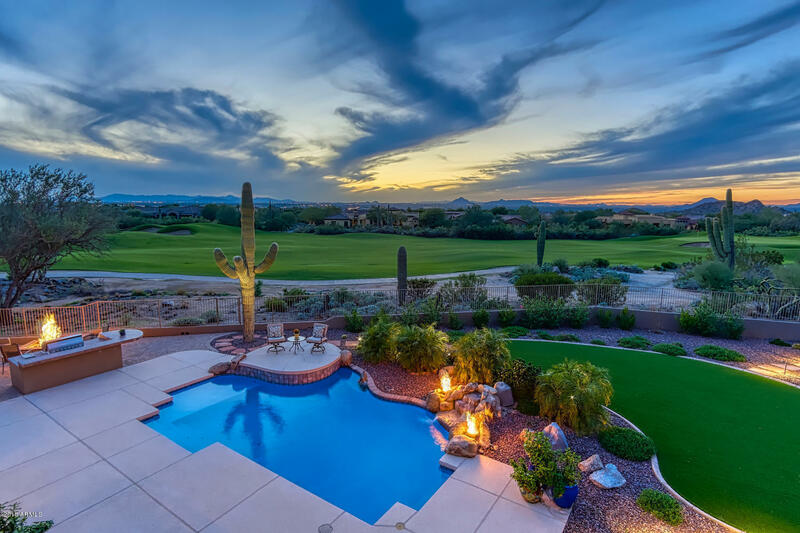 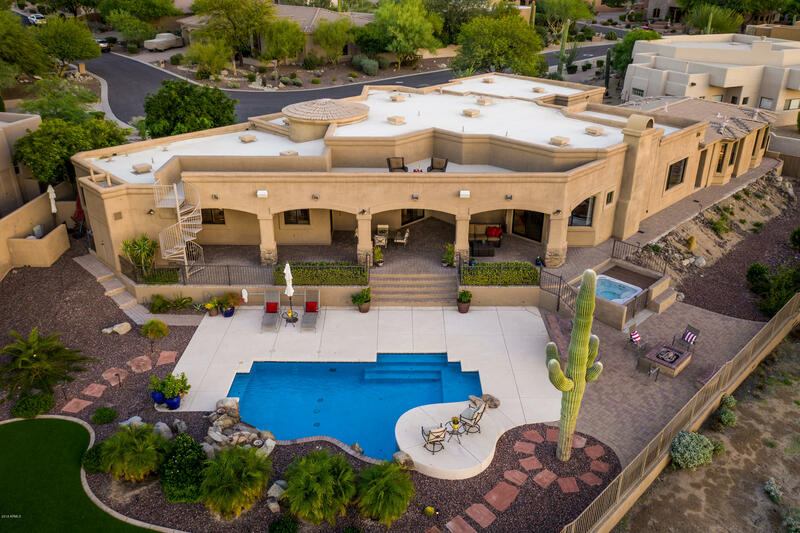 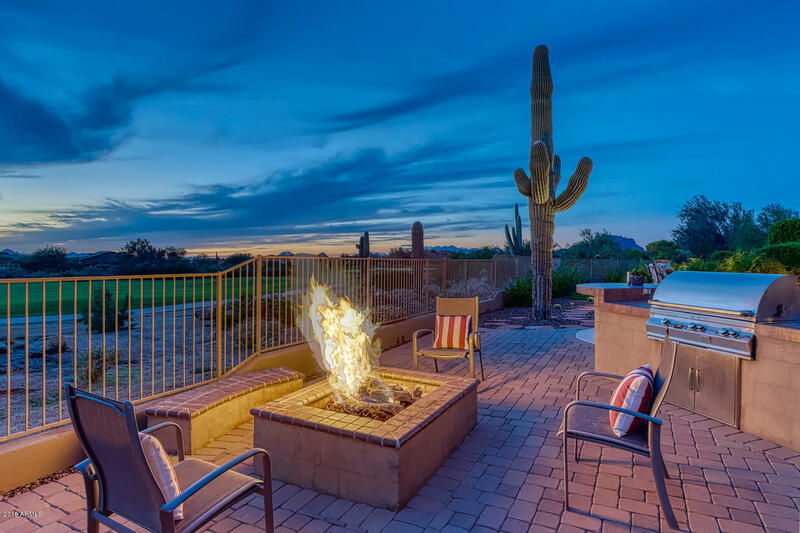 The view-laden backyard backs to the 8th hole of Las Sendas Golf Club and boasts a sparkling pool with relaxing water feature, grassy play area, and a spacious covered patio which leads to the upstairs observation deck with sweeping panoramic views of desert sunsets and Red Mountain. 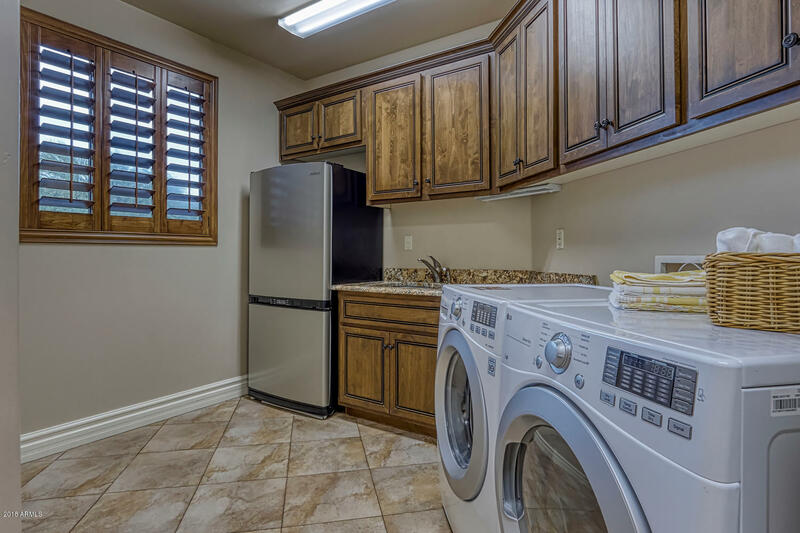 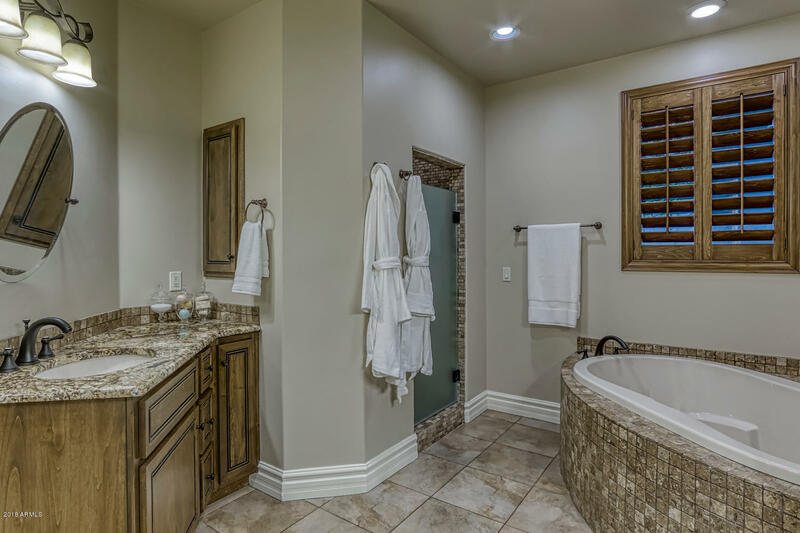 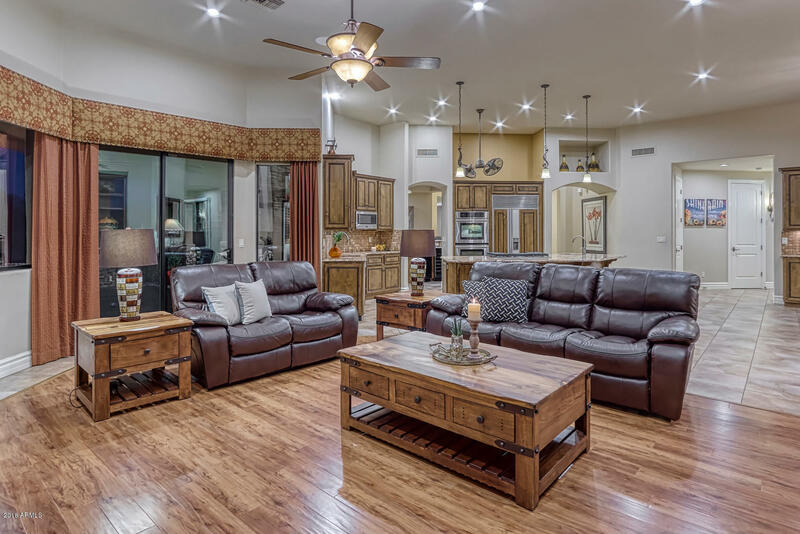 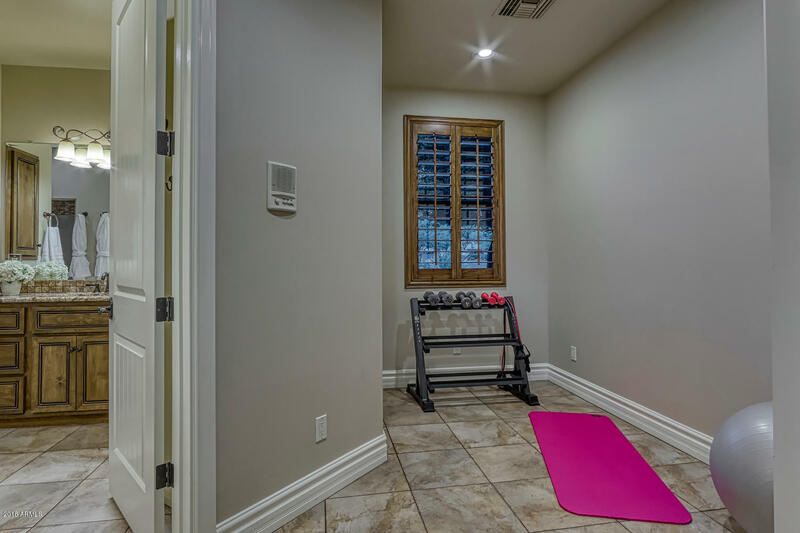 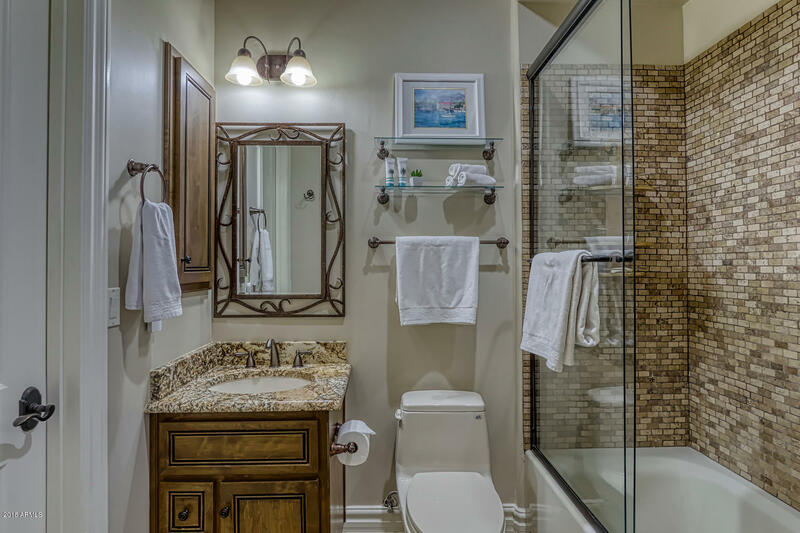 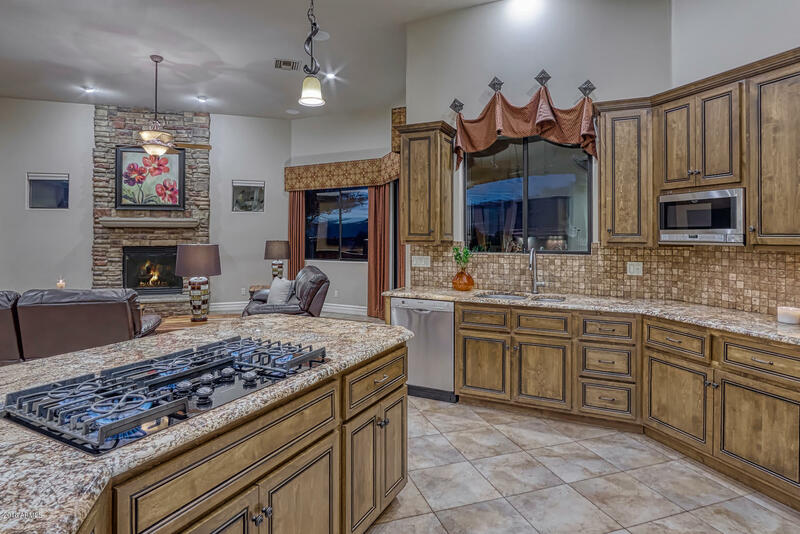 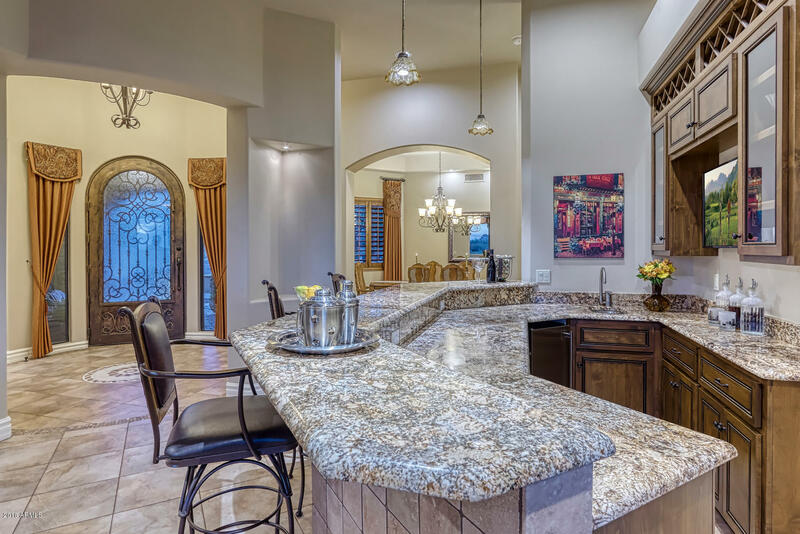 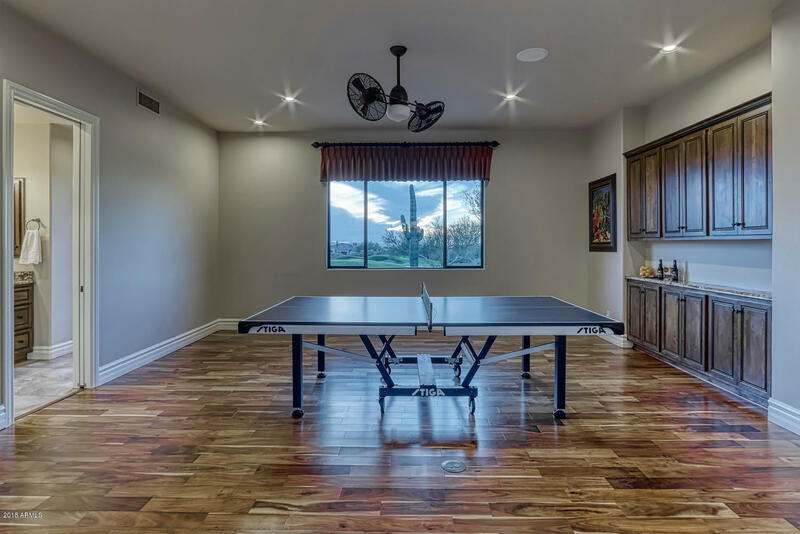 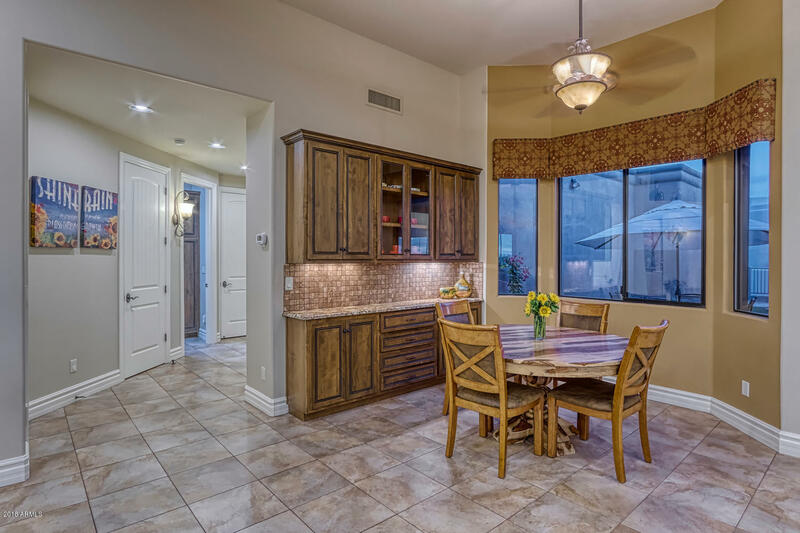 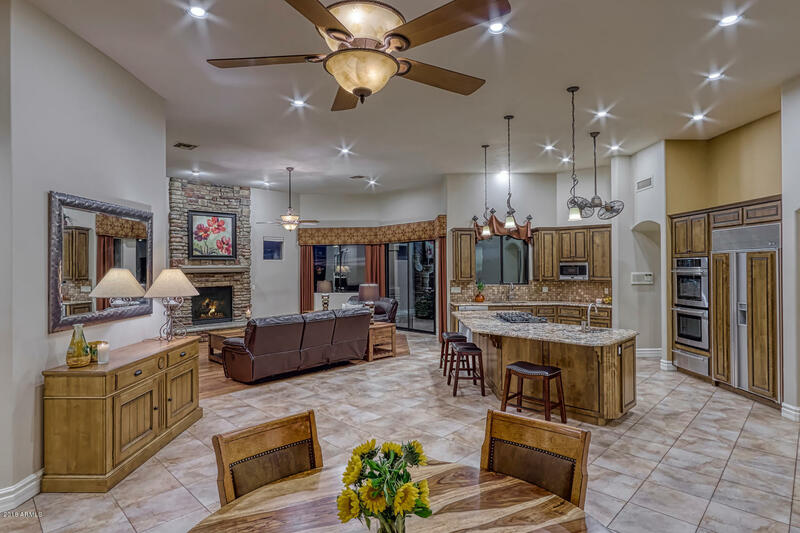 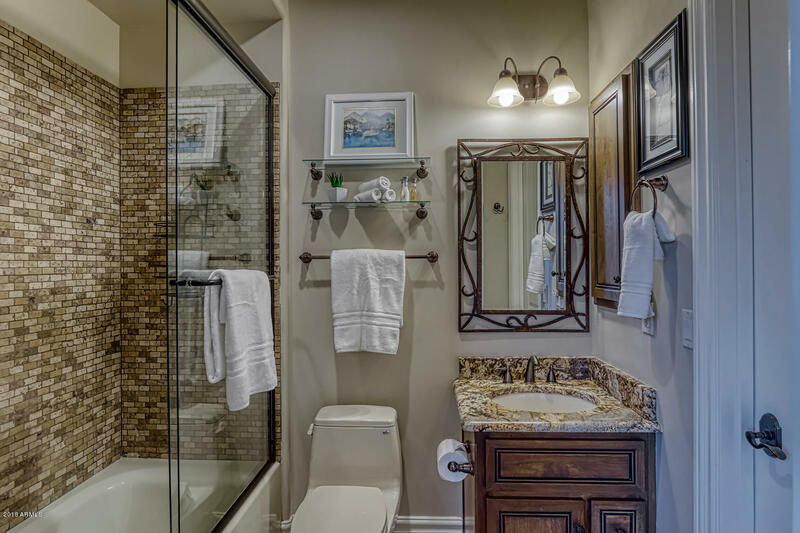 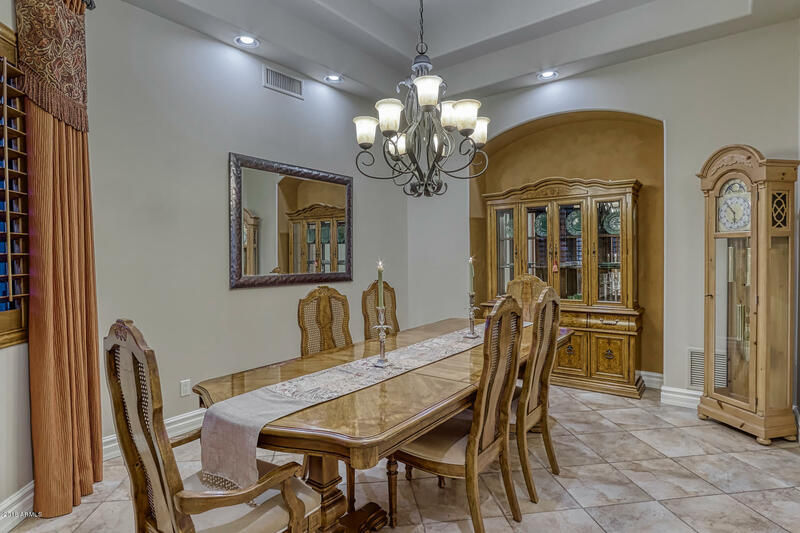 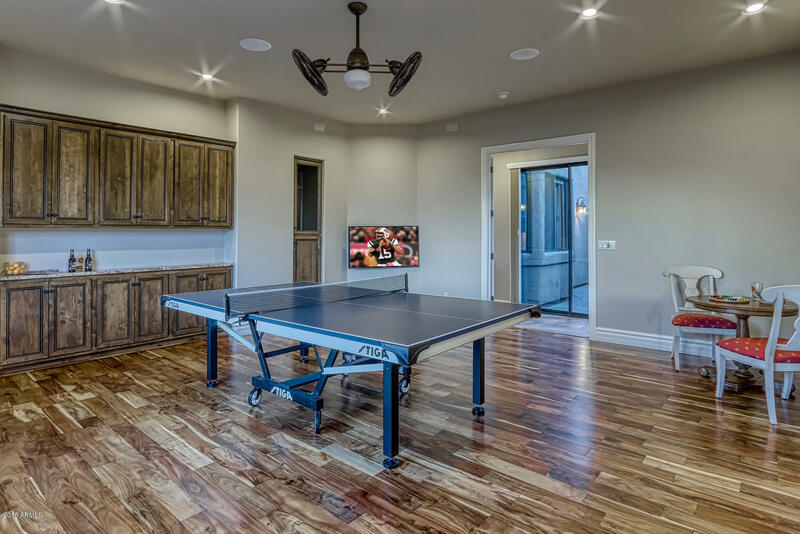 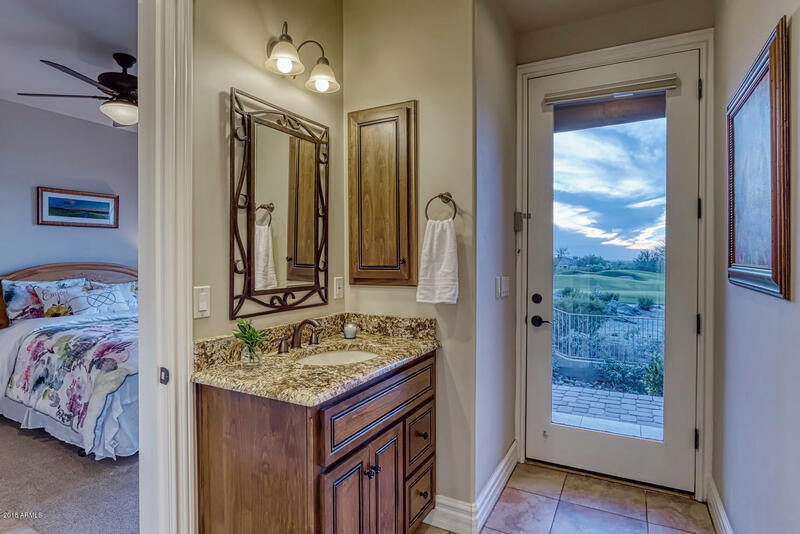 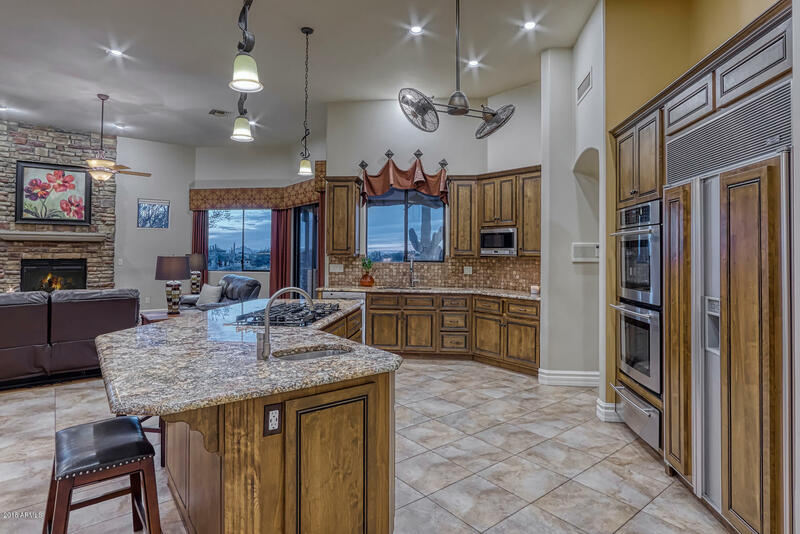 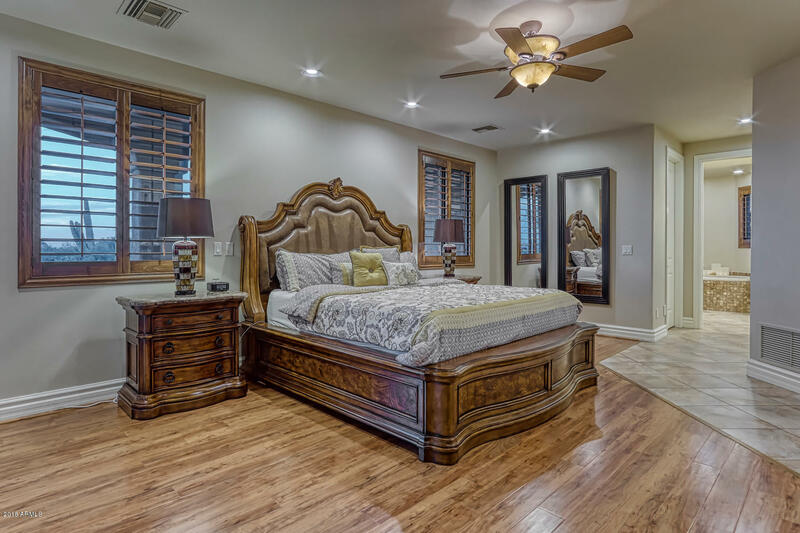 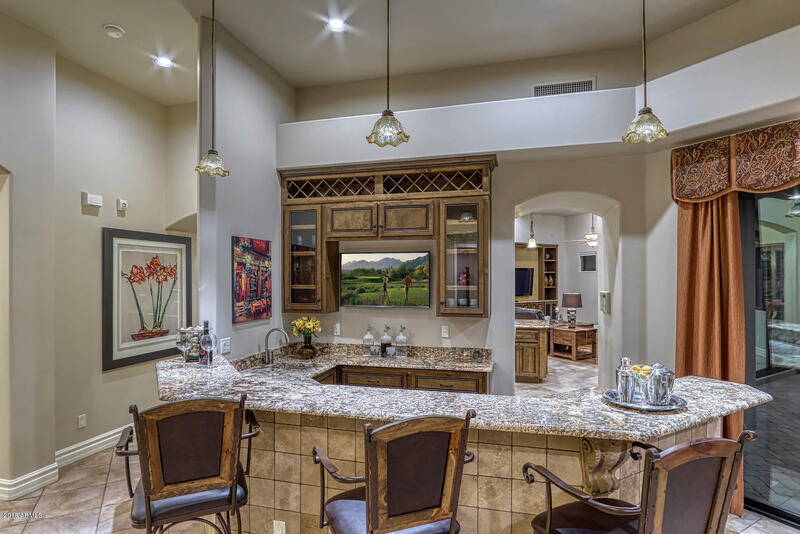 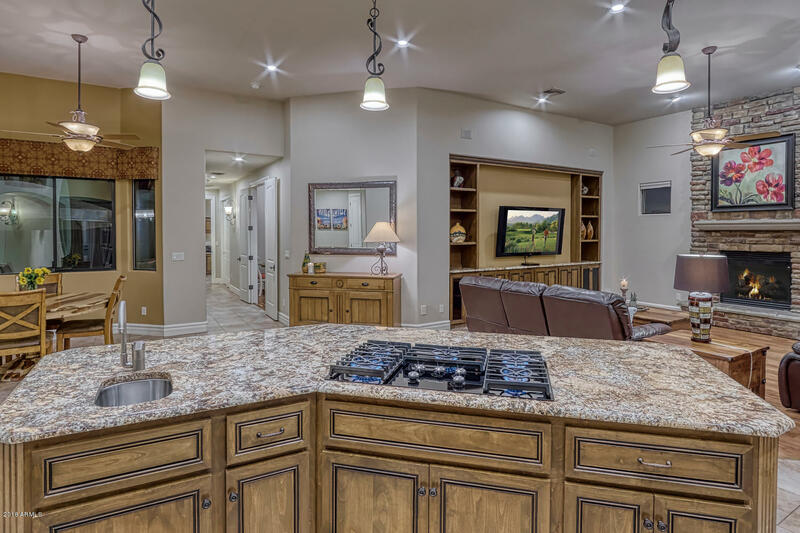 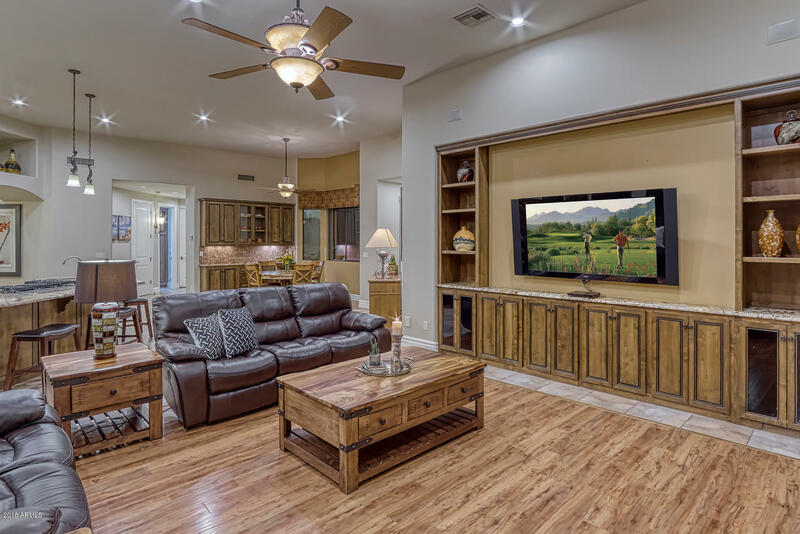 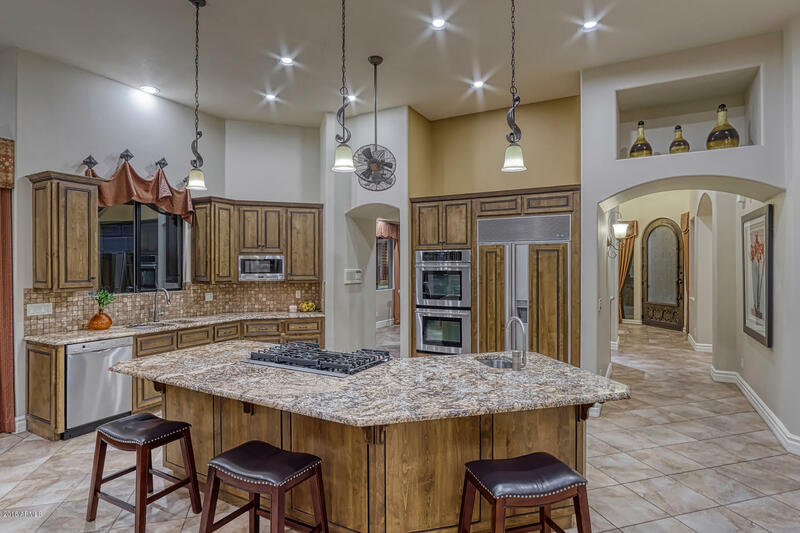 Luxurious finishes throughout including Alder cabinetry, custom window coverings, granite countertops, stone accents, and upgraded LED lighting fixtures both inside and out.